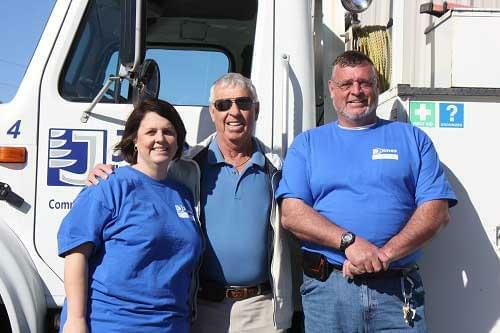 Tommy Jones graduated from the air conditioning and refrigeration program at Shelton State Community College in Tuscaloosa, AL in 1973 and started Jones Home Comfort with just one employee, himself, in a small backyard workshop. In 1976, he used his heavy equipment experience and began working on the air conditioning systems of drag lines, dozers, loaders and any other mobile equipment. In 1986, he moved out of the small backyard workshop into a larger building in Brookwood and we began doing duct work with a full-service duct shop able to handle almost any size duct project. Finally, in 1996, the electrical department was added. In 2000, we changed our name from Jones Home Comfort, Inc. to Jones Heating, Air Conditioning and Plumbing, Inc. to better describe all we do. Today, Jones Heating, Air Conditioning, Plumbing & Electrical has approximately 25 full-time employees. Approximately 70% of our business comes from commercial and industrial work, but we are always happy to service our residential customers. We also install and service geothermal, closed loop, heat pump systems including drilling and horizontal loops. Tommy Jones and the Jones team believe in treating people fairly and taking care of our customers. That’s as true today as it was over 40 years ago. We are a family-owned and operated business that stands behind our people and takes great pride in a job well done.